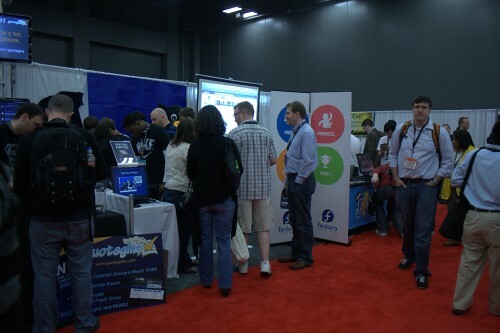 « Flyers About Free & Open Source Software for SXSW Creatives! Great pics. Really like the one with the leaflets/folders. 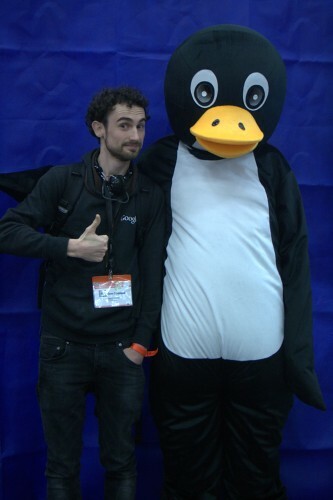 Nice to see Tux gives everybody a smile 🙂 Hope you and the rest of the team have a great SXSW. Oh and +1 for the patched goodie bag. Question! 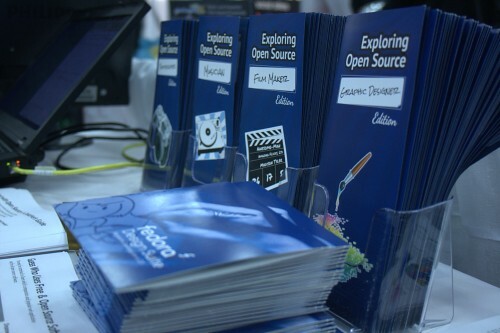 Why do the pamphlets say “Exploring Open Source” instead of “Exploring Free Software” or “Exploring Free and Open Source Software” ? Not trying to troll, just trying to get it right! 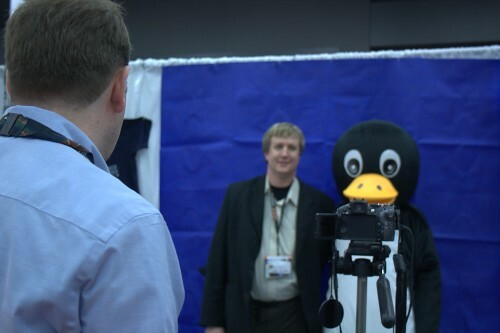 Cute penguin! 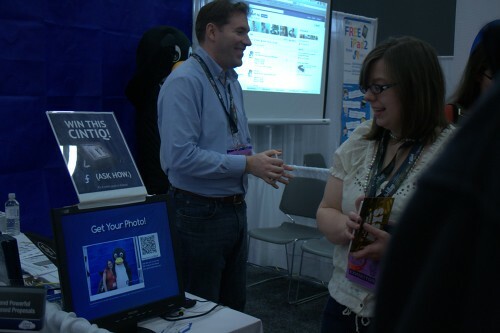 The booth looks great and the materials look as though they turned out quite nicely. 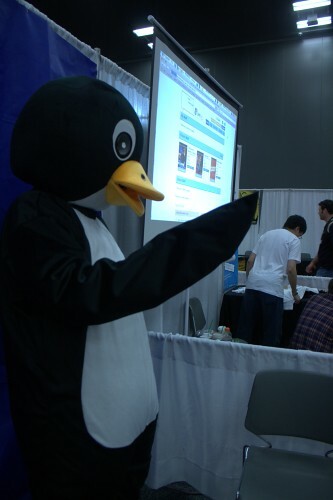 The giant Tux is eye-catching and I’d imagine unique even @SXSW. Hopefully this ends up displaying to those interested that the community is both fun and supportive, and not the haven of fragile egos and cabals that one would think comprises GNOME going by the last few days on the Planet. Where is the picture of Jared with Tux ?? 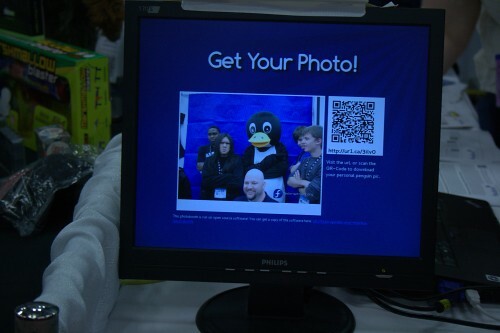 I like the picture 5 (Get your photo), and i wonder if the script/app is available !? I’s a very good idea and nice project and i wish i can make it at a french install party. ps thanks for the pics Máirín.